Hamilton offers the perfect lifestyle for you and your family to settle in. Hamilton offers the perfect lifestyle for you and your family to settle in. This major hub services to a population of 10,000, there is great income potential and guaranteed income period is also on offer. This bulk-billing clinic has an onsite chemist, six large consulting rooms and a treatment room. In clinic you will be working with a friendly team of 3 GP’s, 2 nurses, 4 administration staff and a practice manager- all of various ethnic backgrounds. Located five minutes from the base hospital, the clinic will operate 8am – 6pm during weekdays and 9am – 1pm on Saturdays. Referral pathways to specialists are available through the base hospital and VMO will be on offer at your own discretion. Patient health issues expected to impact on the clinic include the chronic disease spectrum, skin conditions, obesity, peadiatrics and aged care. Hamilton features large supermarkets, religious events, and a number of attractive parks and botanical gardens- offering a perfect family friendly hub. 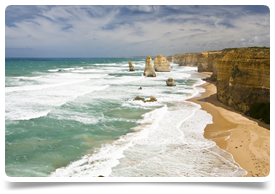 It is also known for prestige schooling-scoring top VCE results in Victoria, sporting clubs as well as easy access to perfect holiday destinations such as Apollo Bay, Warrnambool and Ballarat. Hamilton is a major centre located in the south-west of Victoria, south of Horsham and north of the coastal towns of Portland and Port Fairy.